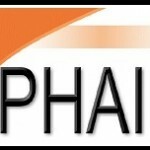 PHAI documented New York State’s enactment of the first reduced ignition propensity law for cigarettes. For decades, state and federal legislators have sought to change the manufacture of cigarettes in order to reduce the risk of fire, and the tobacco industry has sought to delay or prevent state and federal regulators from regulating cigarette ignition propensity. In 2000, New York State became the first jurisdiction to enact legislation that regulates the fire safety of cigarettes. The persistence by legislators, advocates and government officials over many years on many fronts can overcome enormous obstacles. A realistic assessment of the opposition at the very outset of the effort is essential. The threat of litigation required lawyers to carefully and realistically assess the strength of the legal issues that could be raised in litigation. Even though no one sued to block implementation of New York’s law, the threat of eventual litigation and its concomitant costs to the state made it critical for lawyers consulted by legislators and advocates to assess the true risks of litigation.